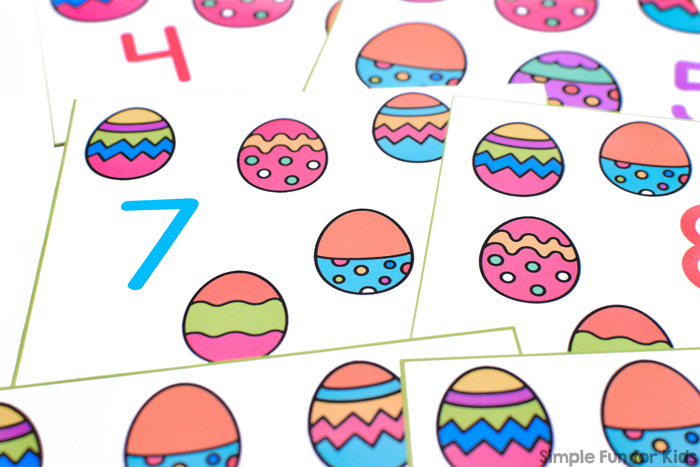 Welcome to day 4 of the 7 Days of Easter Egg Printables for Kids series! 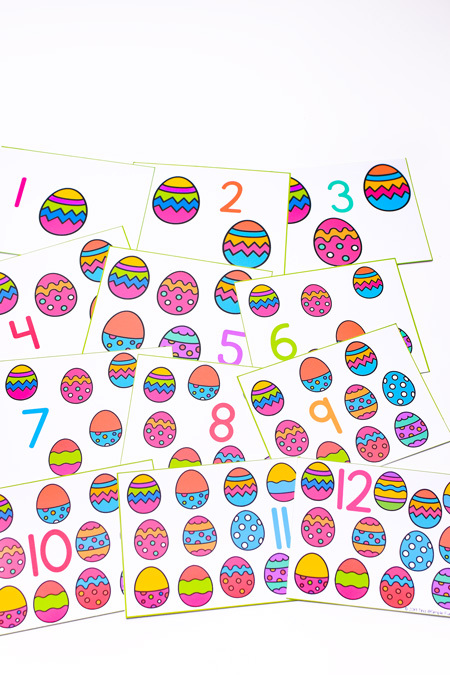 After yesterday’s Easter Egg Hunt Roll and Cover Game, I have a set of counting cards for you today: Easter Egg Counting Cards 1-12! 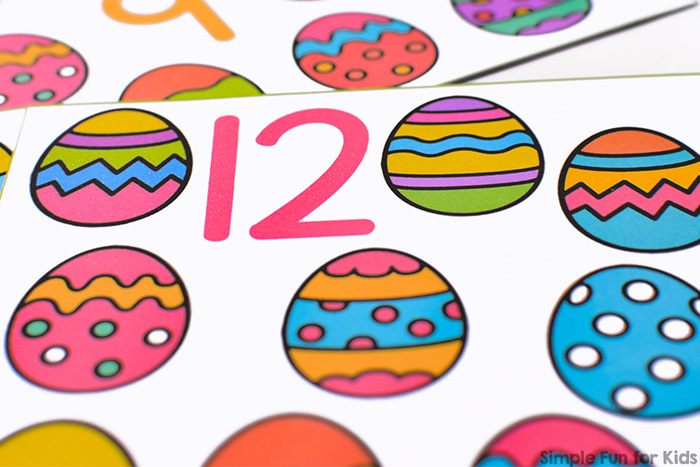 The file includes three pages of four Easter egg counting cards each, covering numbers 1-12. 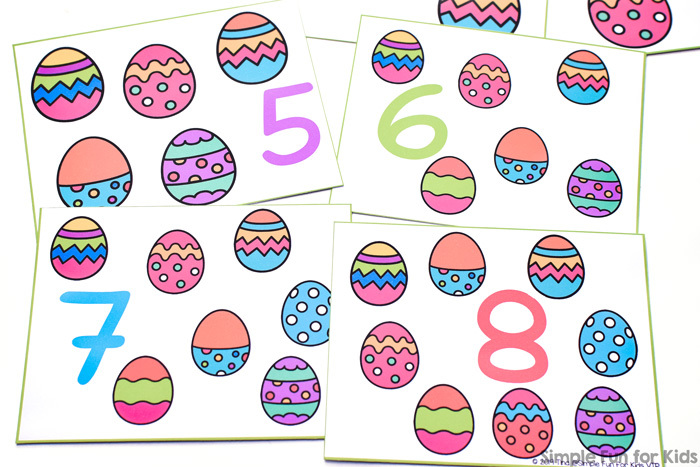 Each card shows a numeral and the corresponding number of different Easter eggs. 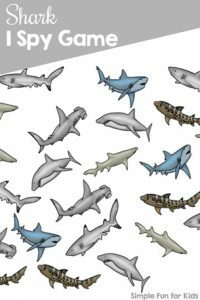 Print out the page(s) you want to use, preferably on heavy paper. Laminate for extra durability (optional). 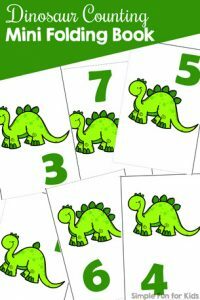 Cut the cards apart at the green lines and use them to count, identify numbers, talk about the different patterns, colors, etc. 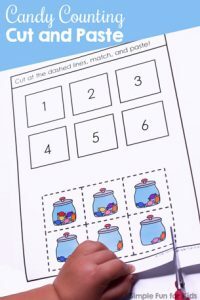 You could also place manipulatives on the Easter eggs to make counting easier and practice 1:1 correspondence. 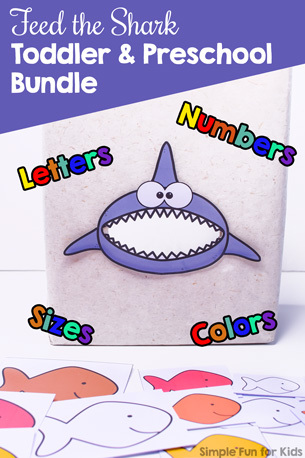 As usual, you can get different fonts and black and white versions in the VIP file – either as a VIP member or when you purchase the file separately in my shop. 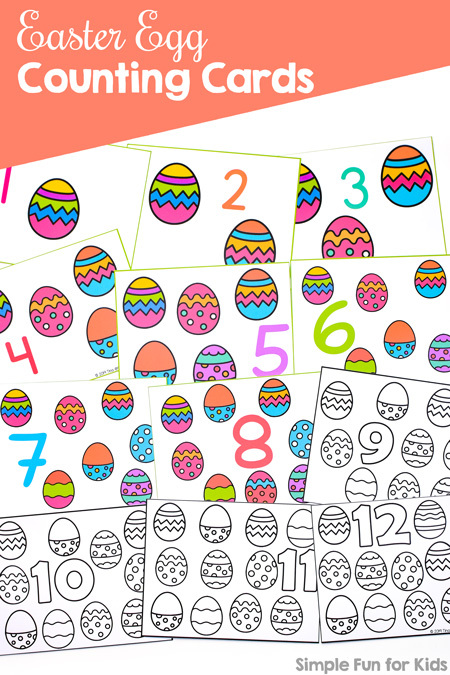 Download your free Easter Egg Counting Cards 1-12! Or click here to see this page on my membership site, become a VIP member today, and download the entire Easter egg series with one click! 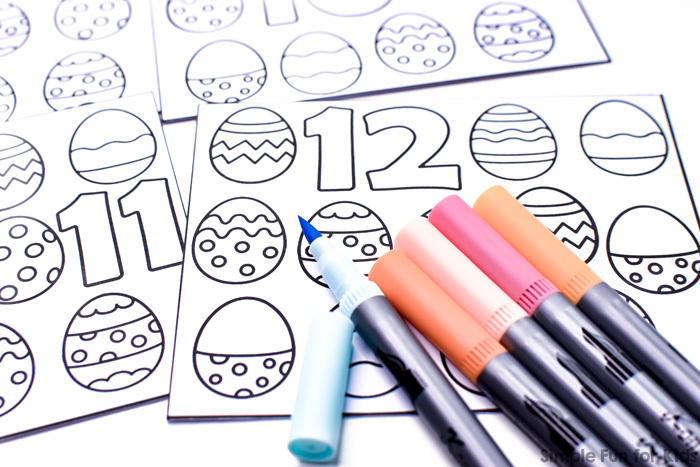 E is for Easter Egg Dot Marker Letter Find and Easter Egg Matching Game for Toddlers both use the same set. 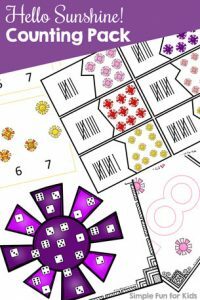 Are you looking for more counting resources? Here you go!